West Ham playmaker Manuel Lanzini is set to make a return to full training next week as he continues to make his comeback from injury, according to reputable source Claret & Hugh. The 25-year-old has been out with a ruptured cruciate ligament he sustained during preparation for the World Cup with Argentina, but is making strides towards a comeback having trained on his own for the past three months. It is understood that Lanzini could even be back in action next month. According to Claret & Hugh, a source close to the club said: “He has done so well and shown himself the ultimate dedicated professional. He has got on with it alone for so long and is close. The expectation is he will be rejoining squad training next week. It’s a cliche, but having Lanzini back will be like having a new signing for West Ham. The nippy playmaker was in tremendous form towards the end of last season for the Hammers, and having him back in contention will give Manuel Pellegrini’s side one of the most irresistible attacking lineups outside of the top six. 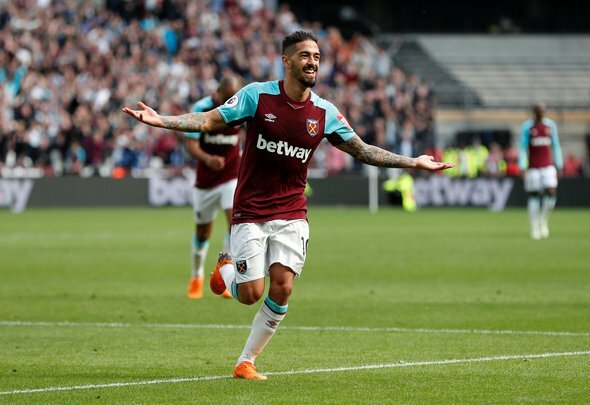 With Marko Arnautovic set to stay, and with Felipe Anderson and Robert Snodgrass forming a formidable duo on the wings, the Hammers must be looking at Lanzini’s return and licking their lips. In a strange way, Lanzini’s absence may prove to be a blessing in disguise for West Ham. As devastating as it has been for the player to have to miss a World Cup campaign, a good performance in Russia could have attracted a host of big clubs over the summer. It’s not ideal, but now he is close a comeback, he could be the difference at a crucial time in the season.